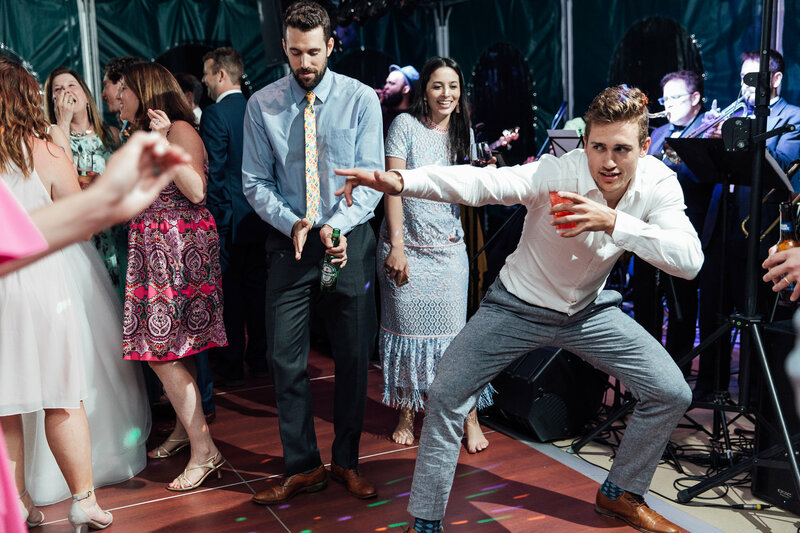 You know those stories about people finding true love at weddings? Those are the stuff of fairy tales, or Nicholas Sparks’ novels, right? Wrong! 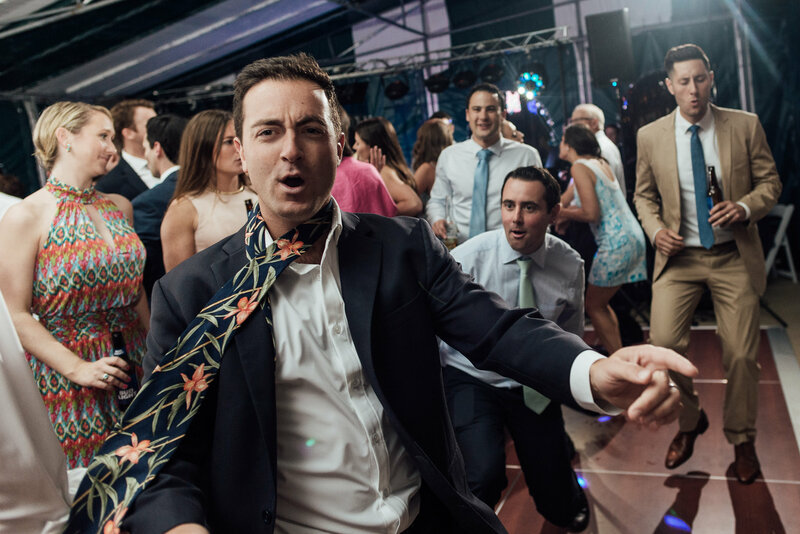 Greg and Erika met for the first time at their mutual friends’ wedding 3 years prior. The band that rocked out that night? Boston Party Machine! 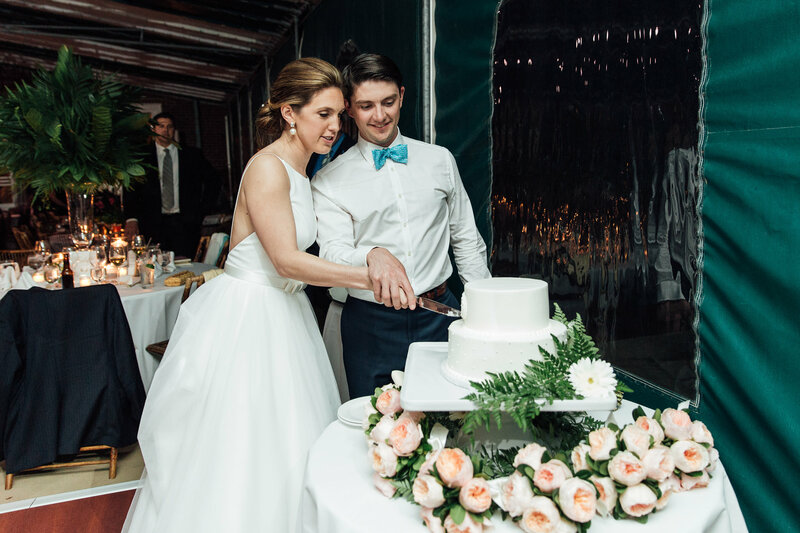 Please check out our blog post from March 4, 2014, a first-person account from the bride and groom about their BPM wedding experience. 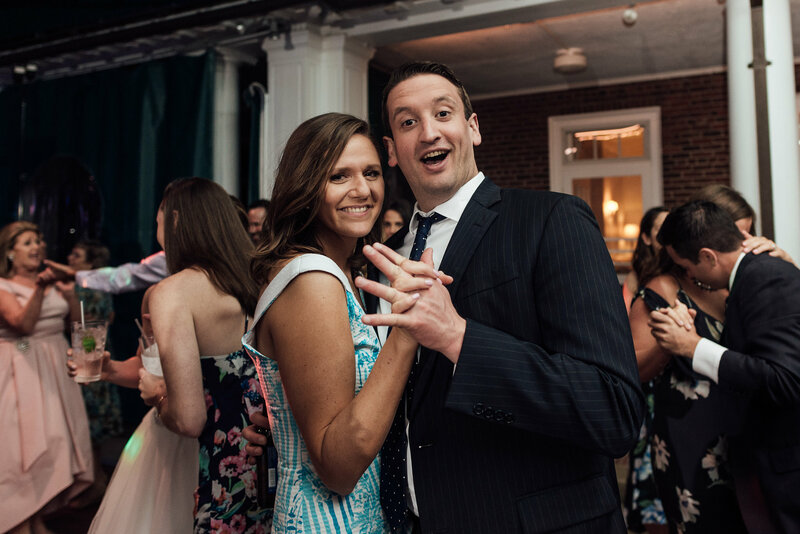 We were incredibly happy and honored that Greg and Erika remembered and booked Boston Party Machine when they set about planning their own wedding. The day of Greg and Erika’s wedding was absolutely beautiful, with their reception at the very exclusive Essex Country Club (www.essexcc.org). The vibe of the evening was classic, with a slightly preppy style. 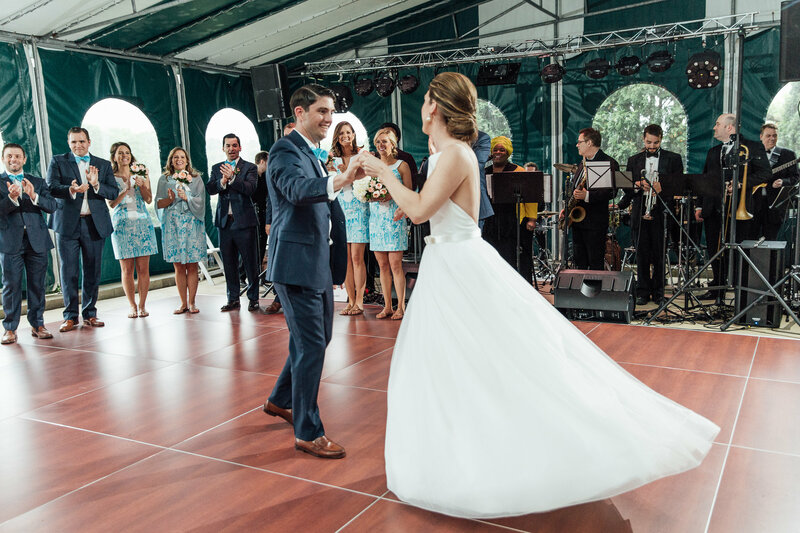 Greg and Erika had selected Boston Party Machine’s 11 piece option for their special day, which adds to our standard 8 piece a percussionist, trombone, and an extra singer, for a total of 3 incredible singers. The sound was full and amazing! 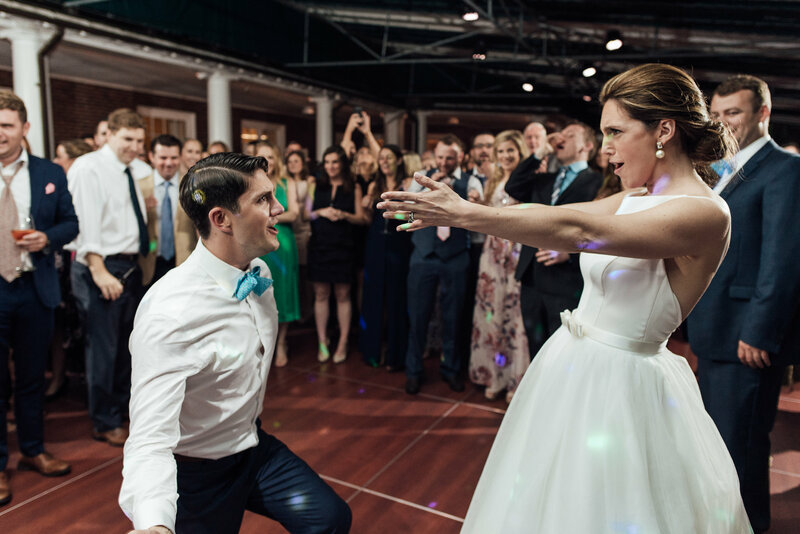 Greg and Erika’s musical DNA included everything from country to pop to R&B to hip hop, featuring songs like Chicken Fried (Zac Brown Band), Wagon Wheel (Old Crow Medicine Show), Thinking Out Loud (Ed Sheeran), Treasure (Bruno Mars), and the always popular Shout (Isley Brothers). Everything from Build Me Up Buttercup (The Foundations) to Gangsta’s Paradise (Coolio). 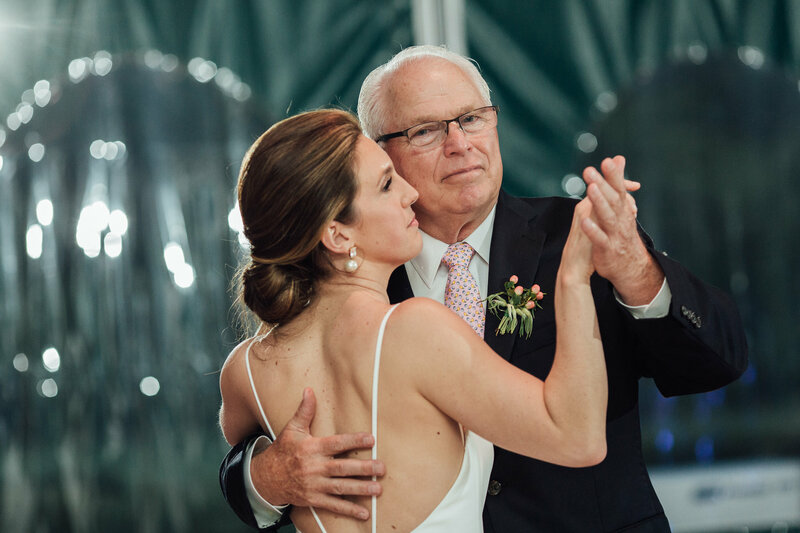 For the special dances, Greg and Erika chose Someone Like You/Pitbull (First Dance), I Loved Her First/Heartland (Father/Daughter Dance), My Wish/Rascal Flatts (Mother/Son Dance), Cake/Flo Rida (Cake Cutting), and Uptown Funk/Bruno Mars (Last Dance). It’s always a pleasure to play with the 11-piece because it sounds rich, diverse and great. 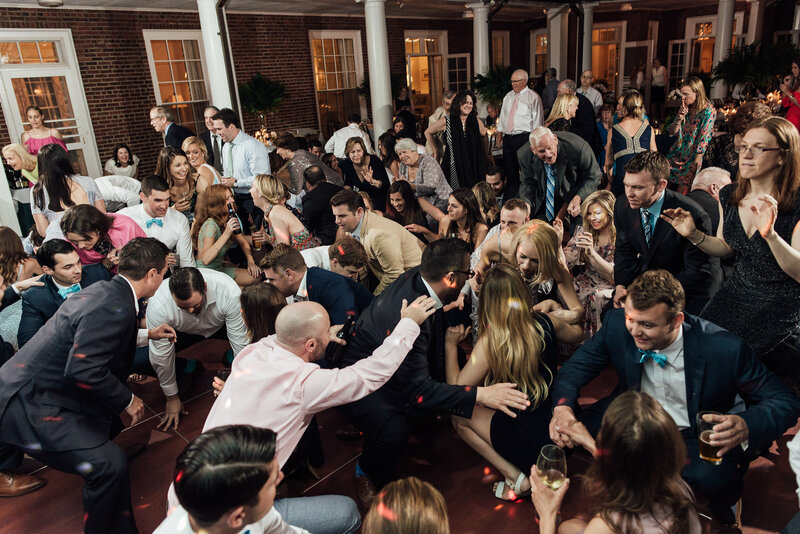 The energy on the dance floor was exuberant and joyous, with everyone up dancing the whole night. A great vibe that the musicians played off of. Wishing Greg and Erika many blessings! 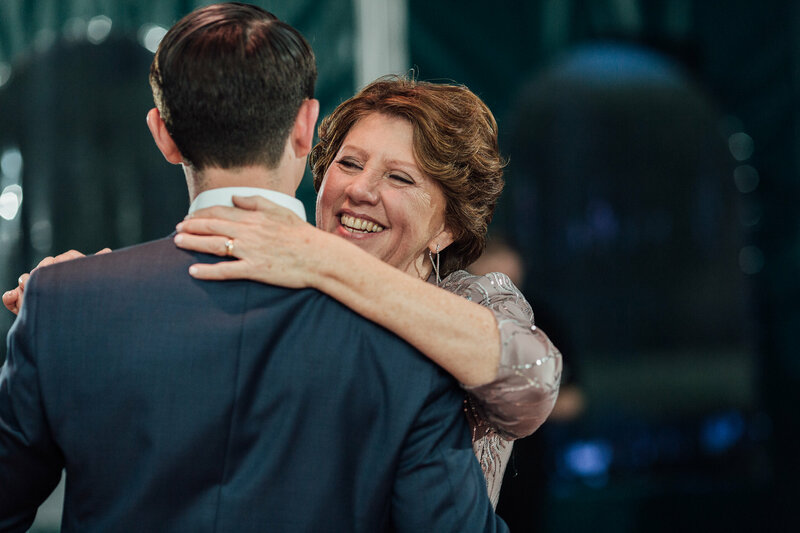 Do you know anyone who met their future partner at a wedding?